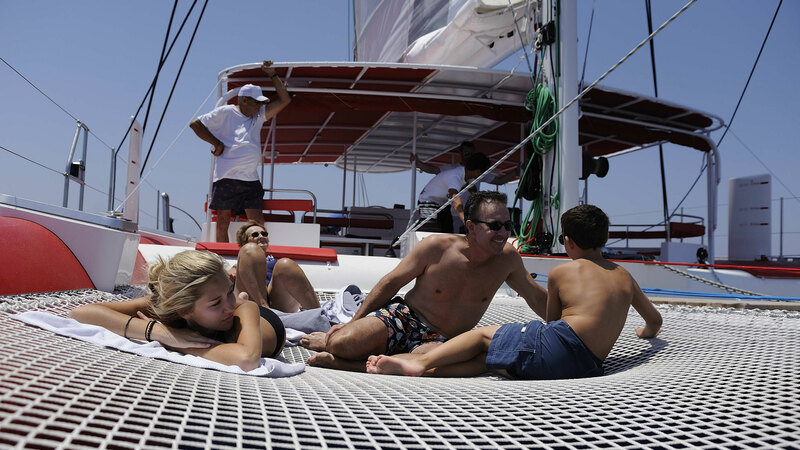 This section contains a wealth of information, related to Santorini Sailing activities and its policies. If you cannot find an answer to your question, make sure to contact us. All tours are available on daily basis for a day or sunset tour and duration of aproximatelly of 4,5 - 5 hours. Day tours start at 10:00 and disembarkation is at 03:00 pm, whereas Sunset tours start at 03:00 pm and finish after sunset. 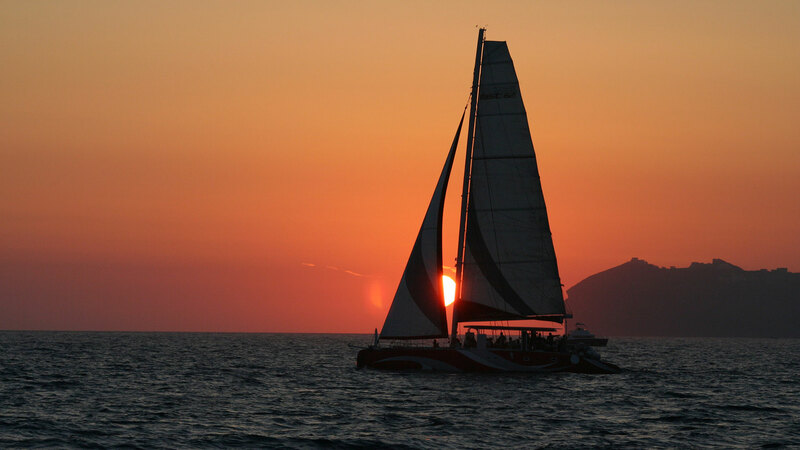 Full day & overnight charters are available on private basis only and upon request. 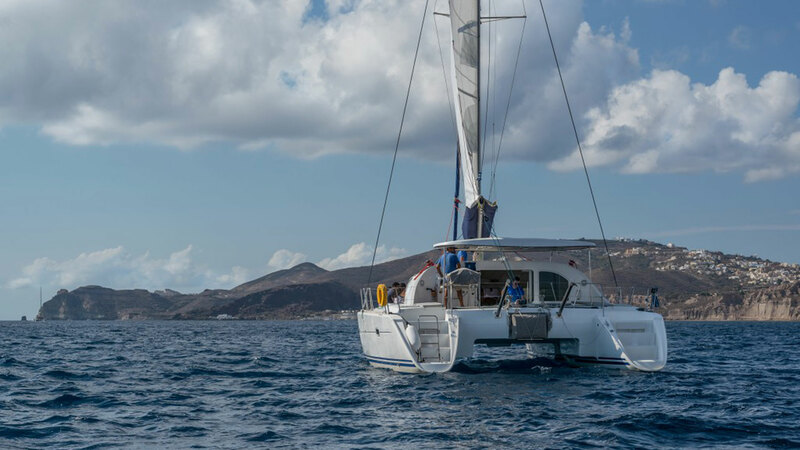 Full day is considered the charter starting from 10:00 am and finishing after sunset, whereas on the overnight charter starting at 10:00 am and finishes the same time on the next day. 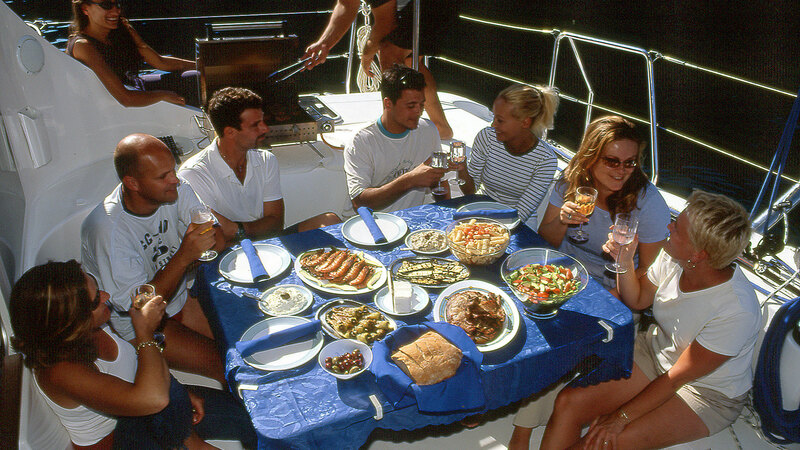 The maximum number of guests that can be accomoodated in a vessel is 4 couples or 8 guests in total per vessel. Swimming stops, Volcano, beaches and other sights. All our tours include a stop at the volcanic "warm springs", ancor at famous beaches and secluded private bays for swimming and snorkeling. The time alocated at each swim stop is dependent on the weather conditions and varies between 20 - 30 minutes. We do provide towels on board Blue Lagoon, Horizon and Triton, guests joining the Dream Catcher tour should bring their own towels. Snorkeling equipment (Mask and Snorkel) are available for all guests on board.Floating noodles are also available on all our vessels. All our meals are well balanced to include vegetarian dishes even whithout notifing us. - A light sweater for the afternoon tours. Are there Life-Vests on board? 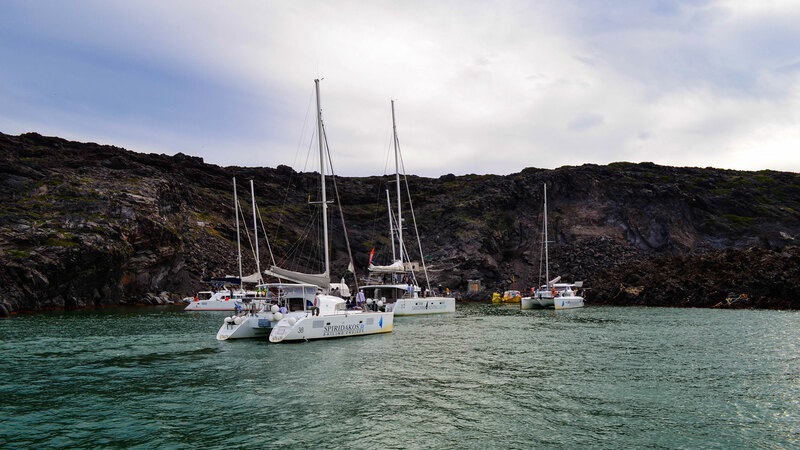 Copyright © 2019 Santorini Sailing. All Rights Reserved.